Horse shaped glass perfume bottles, This beautiful glass bottle is made in a way similar to the way it was made in ancient time which makes it a perfect collectable or gift. Egyptian handmade Animal glass perfume bottles collection is a unique collection. Size: Length 5.5 inches, Width 2.5 inches. 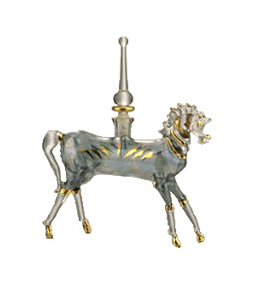 Be the first to review “Horse Shaped Glass Perfume Bottles [Apb0004]” Click here to cancel reply.